Abeer received her first degree in 1995 from Purdue University, USA, majoring in English Literature, and she holds a Master of Arts degree from the American University in Cairo in TEFL (Teaching English as a Foreign Language). She also took an intensive teacher training program in Exeter College, Oxford in Summer 2010. Currently, she is a Cambridge Certified CELTA Assistant Course Tutor. As the director of the ELC, Abeer is responsible for the academic and administrative operations of the English language programs at Pharos University. Abeer is a teacher, teacher trainer, and an Educational Testing Services certified TOEIC trainer. She has contributed to curriculum development and designing MOODLE courses. Also, she presented in various international ELT conferences: the 5th World Conference on learning, Teaching and Education, Digital ELT, The MAC ELT and Nile TESOL. Abeer published her first paper in the Procedia – Social and Behavioral Sciences, and has authored articles and lessons plans in the Journal of Teaching with Technology. She has seventeen years of experience in the English Language Teaching (ELT) field. Her vast and broad experience varied from teaching for private English schools to teaching at the American University in Cairo, and the Arab Academy for Science and Technology as well as AMIDEAST, a leading American Organization engaged in international education, training and development of activities in the MENA region. Abeer has been working in Pharos University since July 2013. Mariam graduated from the Faculty of Arts English Department. She received her TEFL diploma from Notting Hill (February 2013). Her professional career covers a number of prestigious institutions. She participated in a joint Junior Summer Program held at the Arab Academy for Science, Technology and Maritime Transport by the AUC (June 1997- September 1997). She also worked at AMIDEAST, where she taught English summer courses for children (June 1998- September 1998). Mariam taught both elementary and intermediate levels of English in a number of well-known English schools. She worked in Girard School as an English teacher (October 1998- September 2003). Also, she worked in El-Ekbal National School (September 2005-August 2007). Mariam has been working in Pharos University since December 2010. Renal is a graduate of the Faculty of Languages and Translation, Pharos University. She worked in Athens, Greece, as an English-Greek translator in the Bio-clinic institute in Athens. She attended the Nile TESOL annual conference in 2014 & 2015. Currently, she is pursuing her post-graduate studies in Hellenistic studies, sponsored by the Bibliotheca Alexandrina. She completed a Cambridge online course on Grammar Awareness. She has been working in Pharos University since September 2013. Mayar is a graduate of the Faculty of Arts, English Department, Linguistics and Translation Section. She completed Translation and Interpretation courses certified from Intel, UNESCO and the Ministry of Social solidarity and Language and Business courses, certified from Berlitz (September 2010- September 2011). She also received summer training at the Eprom-Estrynics institute (August 2012). After graduation, she completed a translation diploma certified byNotting Hill College (December 2013). Currently, she is pursuing her Masters degree in translation. Mayar has been working in Pharos University since March 2014. Magda is a graduate of the Faculty of Arts, English Department – Linguistics and Translation Section, Alexandria University. She received an Advanced Translation Diploma certified by Intel, UNESCO and the Ministry of Social Solidarity and Berlitz Proficiency Levels Course in English Language (June 2012- August 2012). She taught ESP and general English to adults for the institute of ASEB (July 2013- July 2014). Magda has been working in Pharos University since July 2014. Ayat graduated from the Faculty of Arts, English Department- Literature Section. She received a General English Teaching Course from the AASTMT (2002-2003) She received a diploma in Applied Linguistics from Alexandria University 2005. She worked as an English Language coordinator and instructor at the AASTMT (September 2004 – September 2011). She has been working in Pharos University since February 2015. Nada has graduated from Faculty of Arts, English department, linguistics and translation section. She has worked at Bibliotheca Alexandrina as a cataloguer from March to June, 2014. She is a CELTA holder. She is currently pursuing her Masters degree in Translation Studies at Alexandria University. Nada has started working in Pharos University since October, 2015. Iman graduated from Faculty of Arts, English Department in 2009. She worked in Kaumeya Language School upon graduation for five years. Also, she won the Fulbright Scholarship in the year 2014-2015. Her duties were to facilitate in Arabic courses and give presentations about her country. Iman has been working in Pharos University since September 2015. Mahinour is a graduate from faculty of Languages and Translation, Pharos University in 2015. She majored in English Translation. Mahinour is a CELTA holder. Mena is a graduate of the Faculty of Arts, English Department- Literature Section. She taught General English at the Russian Center (June 2008 – August 2012). She also taught English as a second language at the Egyptian English Language School (August 2012-June 2013). Furthermore, she taught English as a first language in the IGCSE department at House of English School (August 2013-November 2015). She has been working for Pharos University since November 2015. She is a CELTA holder. Asmaa is a graduate from faculty of Languages and Translation, Pharos University. She majored in English Literature. She worked in a nursery during summer vacation. She participated in the Lingualit magazine. Asmaa has been working in Pharos University since since September 2016. Andrew graduated from the Faculty of Education, English department in 2010. He volunteered as an English language tour guide at Bibliotheca Alexandrina. He also has experience in translation, simultaneous interpretation and movie subtitling. In 2011, he taught English to middle-stage students at the Egyptian English Language School, where he taught an intensive Cambridge First Certificate (FCE) course. In September 2012, he started teaching at College de la Mere de Dieu and is currently a coordinator of English language, and a senior stage teacher. In 2015, he completed Harvard University course on improving learning and teaching. Andrew has been working in Pharos University since since January 2016. Basma is a graduate from Faculty of Languages and Translation, English Department-Literature Section, Pharos University. She taught English at Future Language School (2014). She also worked at Miami College School (2016). Basma has been working in Pharos University since October 2016. Gehad is a graduate of the Faculty of Education, English Department, Alexandria University. She taught English at Modern Manar Language School (August 2009 – August 2014).She taught English at El-Ekbal Language School (September 2014_December 2017) She has been working for the Egyptian American Cultural Centre as an instructor for both children and adults since June 2010. She received her TEFL diploma in September 2014 at Notting-Hill College. She attended workshop on Effective Teaching. She completed a conversation course at the Arab Academy for Technology and Science (2009). Gehad has been working in Pharos University since March 2017. Aya is graduated from faculty of Languages and Translation, Pharos University. She majored in Methodology, English Department. She traveled to Ireland to attend an English course at the Waterford institution of Technology (Summer 2010). She participated as a delegate at the Model of European Union (2013), as an Academic member at the Model of European Union (2014), as a social media coordinator at the Model of United Kingdom and as a president of the council at the model of European Union (2015). She has worked as a senior social media specialist (February 2015 –January 2016). Aya has been working in Pharos University since February 2017. Dalia is a graduate of faculty of Education English department –General in 2016. She is teaching English, American History and World History for different age groups, from juniors to seniors. Dalia has been working in Pharos University since August 2017. Mirna is a graduate of the Faculty of Education, Department of English – General, Alexandria University in 2017. She had practical teaching training at Mohamed Ali El-Mesiri preparatory school in 2015-2016 and at El-Bitash for girls secondary school in 2016-2017. She attended a workshop run by Cambridge Training College London in English phonetics and conversation in 2015. 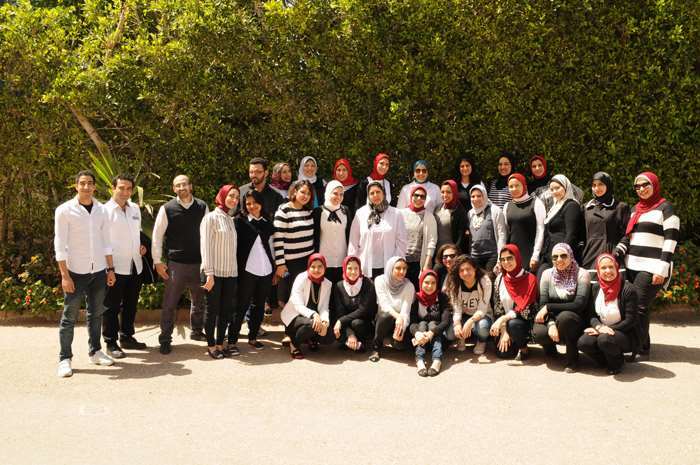 She participated in a human development course held at Alexandria University in preparing a successful leader and thinking-supported learning in 2014. She has been working as an English instructor at Pharos University – English Language Centre since August 2017. Ayten Adel is a graduate of the faculty of Languages and Translation, English department, Translation section. She taught English and American Social Studies at New El Quds International School [August 2013- June 2014]. She taught English as a first language in the IGCSE department -International Educational Programs [IEP] at the Arab Academy for Science and Technology and Maritime Transport. She has been working for Arab Academy for Science and Technology and Maritime Transport and Ministry of Defense Language Institute [MODLI] as an English instructor, teaching general English courses for adults since 2013. She attended four seminars at Cairo University and she also attended Cambridge Training Course in September 2016 at AASTMT. Currently, she is pursing her master’s degree in Applied Linguistics at Alexandria University and AASTMT. Ayten has been working in Pharos University since July 2017. Yara is a graduate of faculty of Commerce, English Department, and Alexandria University. She attended the EDU Egypt program scholarship from Alexandria University (2010-2013). She had her Methodology Diploma from the Faculty of Education (2015). She attended many workshops at the British Council such as Assessment for Learning (November 2016). She had a TEFL Training course from Ain Shams University (May 2017). She worked as an English teacher at reputable schools such as European International School (I.G.C.S.E). She worked as an English instructor at Real Soft Houses centre.Yara has been working in Pharos University since August 2017. She is a graduate of the Faculty of Languages and Translation Pharos University, English Department-Translation Section. She trained as a Spanish teacher at Egyptian American School for one year. She worked as a freelancer Arabic-English translator in July 2017. Sara has been working at Pharos University since August 2017. She is graduated from Faculty of Languages and Translation at Pharos University. She majored in Translation, English Department. 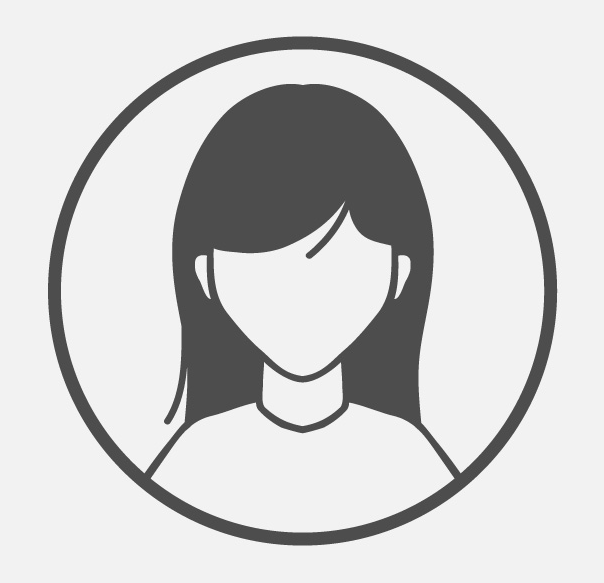 She worked as a Freelancer Arabic – English Translator in July 2017. Samar has been working at Pharos University since August 2017. Yousra is graduated from the faculty of Languages and Translation. She majored in Translation, English Department. 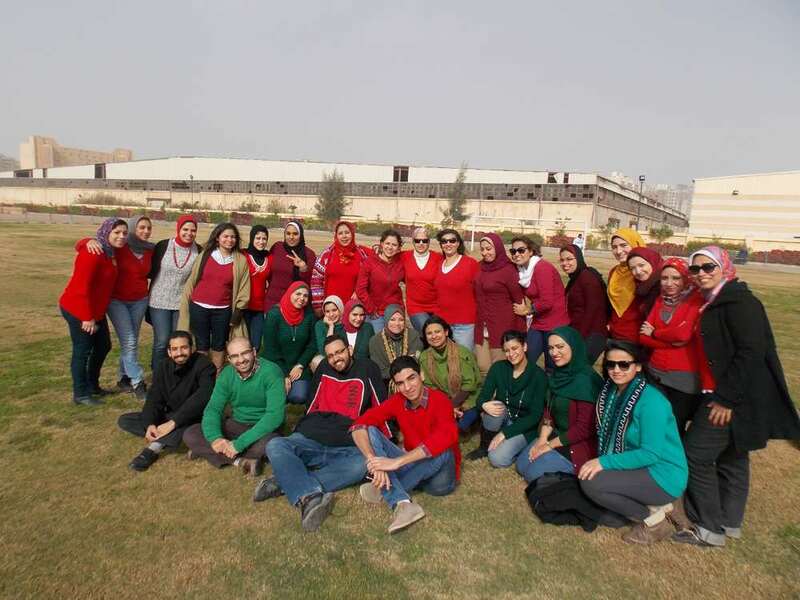 She volunteered as an English Language Tour Guide at Bibliotheca Alexandrina for two years. She has been planning events at the Bibliotheca over both years as “A day in the love of Alexandria”. She attended the conference “innovation in education” (2015) and the 2nd international ELT symposium at Pharos University (2017). Yousra has been working at Pharos University since September 2017. Ali graduated from faculty of Education – English department (2013). He received his TEFL diploma from Notting Hill College (2015). He also received a training in Behavioral and Managerial skills from Pathways (2014). 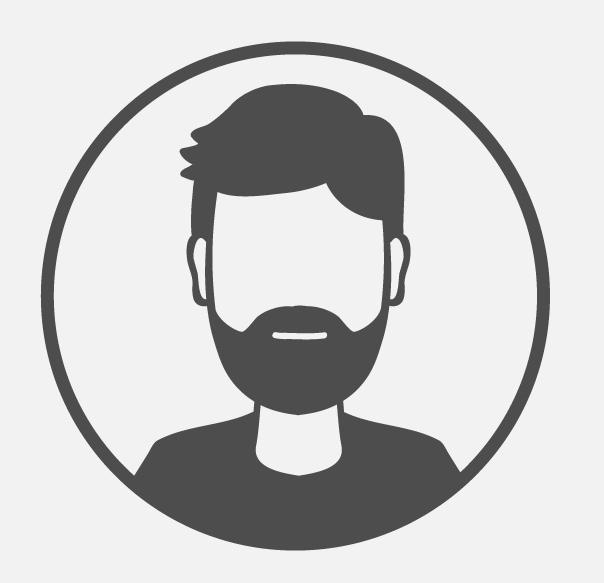 Ali worked an English teacher at Alfarabi language school (2015 – 2016). He also worked an ESL instructor at E-PLANET and ASEB ACADEMY. He attended many Niletesol professional development events. He also attended the 2nd international ELT symposium at Pharos University (2017). HAli has been working at Pharos University since October 2017. I graduated from the faculty of Arts, English department. Teaching, whether as a profession or a volunteering act, helps me to achieve some of my life goals. It helps me to improve my knowledge of the English language, for being a teacher means being a constant learner. Teaching helps me in this guidance quest. It is a rewarding feeling when a teacher sees his/her impact on the students. I had tried a desk job, but it was neither suitable nor fulfilling to me. This is why I have shifted to teaching, and I will keep trying to make a successful teacher out of myself. Nadine has been working at Pharos University since February 2018. Salma graduated from the faculty of Education, department of English, Alexandria University. She has worked for an international school for two years and for a language center for six months. Teaching different age groups helped her to deal with different types of students and to establish a good rapport with them. Salma has been working in Pharos University since October 2017. Abier is a graduate of Faculty of Arts, English Department, Linguistics and Translation section. She completed translation and Interpretation Diploma from the Egyptian Association for Languages and Computer Science in (2010-2011) and language course from Berlitz in (2012). She received her TEFL from Notting Hill in (2013). She received TOEIC from Amideast and Effective Time Management from New Horizons in (2013). She has worked as an English Instructor in American Language and Computer Institute(A.L.I) in 2014/2015 and also in American Institute of Language(A.I.L) in 2016/2017.Currently, She is working as an English Instructor in Egyptian American Centre. Abier has been working at Pharos University since February 2018. Romaisaa graduated from the Faculty of Languages and Translation. She volunteered in civil work from 2012 till 2015. Then, she volunteered in the Bibliotheca Alexandrina for six months. She has also worked in the American Institute for Languages as a teacher. Romaisaa has been working in Pharos Languages center since February 2018. Aya is graduated from Business Administration at Arab Academy for Science, Technology and Maritime Transport. She majored in Media Management. She worked as a freelancer graphic designer in 2017. She has been working in Pharos University since May 2018. Mai has graduated from Alexandria University,Faculty of Education ,Department of English Class of 2008.She worked as an English instructor in.She worked as an English teacher in El Quds and Bra`em Tibbah international schools.She worked as an English coordinator for upper junior stages in El-Zahraa International Schools. Mai has been working in Pharos University since July 2018. She graduated from the Faculty of Education, Childhood department, Alexandria University in 2017. She received aT.O.T training, had a workshop in Alexandria University about the skills of the creative teacher and attended a lesson planning workshop in Notting Hill College. She received her TEFL (Teaching English as a foreign language) from Notting Hill College. She studies an Introduction to Linguistics on Coursera. She started teaching English as a second language at a charity association (from 2014 to 2016). Then in 2017, she worked at American Culture Association, Aspect Academy, and British Academy after that She worked as E.A.L. teacher at Grand Language School for one academic year. And at the same time, she worked for a year and 7 months at Harvest British College. Currently, she works at Pharos University English Language Center and IARS (International Academy for Advanced Researches and Studies) in Alexandria University. Ahmed Abdelsabour is a graduate of the faculty of Arts, English department, linguistics and translation section, Alexandria University. 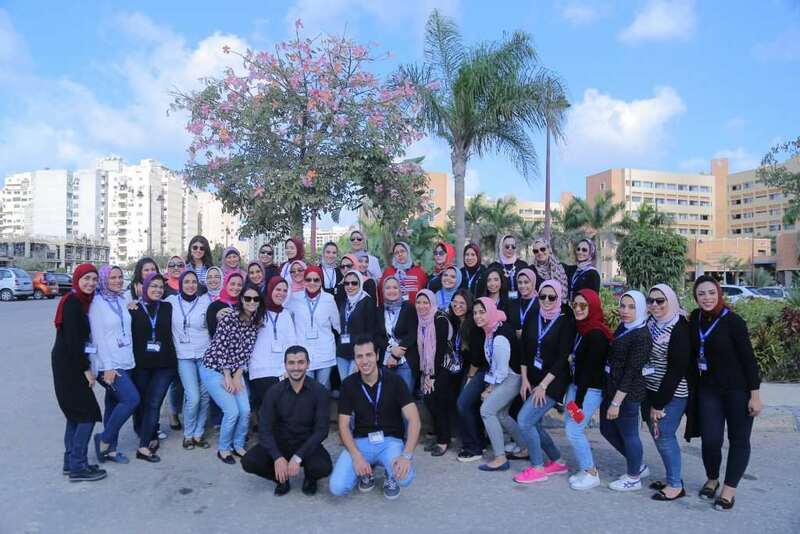 He attended the pedagogic training for non-specialist teachers at the faculty of Education- Alexandria University. He worked as an English instructor for teaching general English at CTC academy. Then he worked at Helalia language school as an English teacher. He also taught English as a first language for children at New Quds International School, IGCSE department. He has been working at Pharos University since 2018. Hind is a graduate of Arab Academy for Science, Technology and Maritime Transport with Dual degree from (UAB) Universitat Autonoma de Barcelona, College of Language and Communication with Major Media and Minor Media Translation (2017). She has an IGCSE certificate from Cambridge University for English as an ESL and Literature. She has been volunteering in civil work in Step Up and organizing major events as Alexandria Film Festival at Bibliotheca Alexandrina. Her main interest is in theatre and arts, and she is very passionate about poetry and writing. She is an executive member in YFLI “Young female leader’s initiative supervised by UN”. She has a certificate from the AUC teaching conference of Nile TESOL 2019. Hind has been working in Pharos University since September 2018. She believes “The biggest adventure is what lies ahead.” J.R.R. Tolkien. I graduated from the Faculty of Languages and Translation, English department at Pharos University in Alexandria. Teaching has always been my passion, especially when it comes to teaching adults. This year, I am pursuing my master’s degree in Translation from the Institute of Applied Linguistics and Translation, Alexandria University. I have been working at Pharos University since September 2018. I graduated from the Faculty of Arts, English Department, Alexandria University, class of 2018. I am currently doing my MA in English Literature in the department. Throughout my college years, I was a freelance translator –English to Arabic and vice versa- and a freelance editor. My teaching experience started at Pharos University. I have been a teacher in the English Language Center in Pharos University since September, 2018. It is a life-changing experience as I get the chance to learn as well as teach others, not to mention the skills I have gained, and continue to gain, through this teaching experience. In addition to Pharos, I have also started another job recently in the British Council as a teacher’s assistant. Merna is a graduate of the Faculty of Education, English department in 2018. She attended a workshop run by Cambridge Training College London in English phonetics and conversation in 2015. She volunteered in civil work from 2015 till 2017. 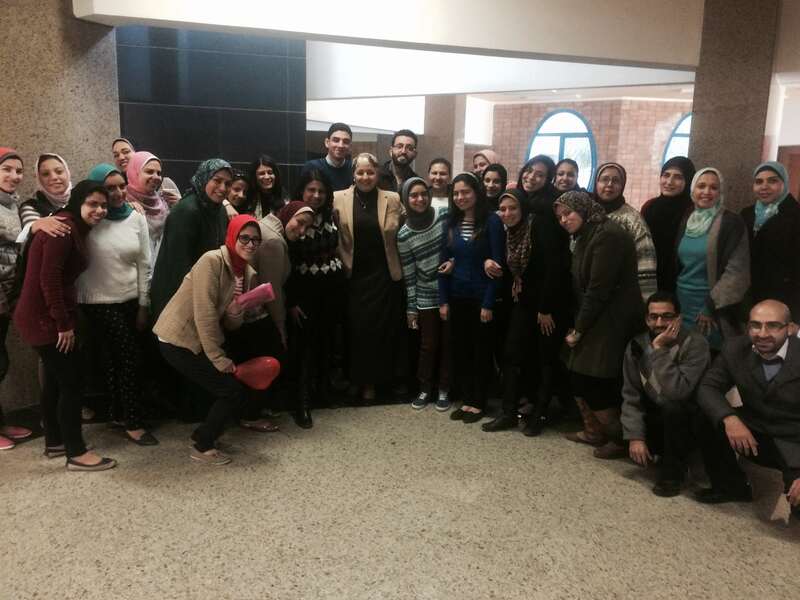 She worked for the Egyptian American Cultural Centre as an English teacher assistant. She works for MODLI (Ministry of Defense Language Institute) as an English instructor. Merna has been working in Pharos Languages center since September 2018. Radwa is a graduate of faculty of Commerce, Business Administration, English Department, Alexandria University. She worked as an English teacher in international schools in Saudi Arabia such as “Jana Dan International School” (2014-2017). She is a CELTA holder (July 2018). Radwa has been working in Pharos University since September 2018. Yasmine Samy is graduated from Faculty of Media and Mass Communication at Pharos University in 2015. She majored in radio and television, English section. She worked as an English teacher at GEMS Academy in Alexandria. She also worked as an English instructor at American language institute (A.L.I). she participated in the international scientific conference from 5th to 7th May 2015. She interviewed the Minister of youth and sports Mr. Khaled AbdelAziz. She passed TOEFL exam in 2016. She also passed AUEPT exam in 2017. She attended Nile TESOL seminar 2019.Yasmine has been working at Pharos University since September 2018. Shaimaa graduated from the Faculty of Arts, History Department at Alexandria University in 2015. She majored in Egyptian Monuments and graduated with a general grade (Good). She received an appreciation for excellence in practical training for tourist guidance of Egyptian antiquities and translation of ancient Egyptian texts (Hieroglyphic language) and drawing of archaeological map in Cairo, Luxor and Aswan. She worked as a teacher of Social Studies to the primary stage from 2012 to 2013. She worked as a secretary at Elwakeel center. She also worked as a Hospitality Supervisor at ElRayada Hospital (Shift manager). She has been working as Students’s Affairs Representative in Pharos University since November 2016. Asmaa is a graduate of the Faculty of Commerce Alexandria University. She worked in the marketing field for 2 years. She has been working in Pharos University since January 2018. Radwa is a graduate of Faculty of Arts, Mass Communication Department, Public Relation Section, Alexandria University. She worked in Public Relation and Media field for 1 year. Radwa has been working as a student affairs representative in Pharos University since October 2018. Eman is a graduate of mass communication, public relation department, faculty of arts, Alexandria University, class of 2017. She worked in public relation and media field for 1 year. Eman has been working as a student affairs representative in Pharos University since January 2019. Noha Samir is a Civil Engineer. She graduated from the faculty of Engineering, Civil Department, Alexandria University 2007. She has completed her structural design courses “AutoCAD” and “SAP” certified by the Arab Academy for Science and Technology. She worked as a technical office engineer at K.K. for general supplies and contracting in 2008. Noha also worked as a structural design engineer at a Saudi Arabian office for 5 years. Noha works in the ELC Administrative Department as a placement test specialist. She has been working in Pharos University since May 2018.